1// What lead you to where you are today? Like so many others, I had a previous career in a different field but craved the independence and creativity of entrepreneurship. Wish me luck! 2// What is your business? 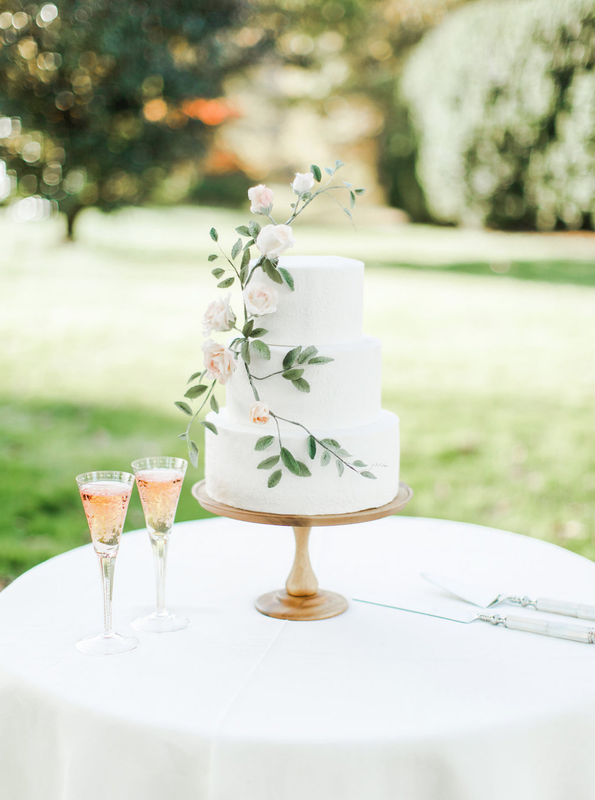 Catherine George Cakes provides beautiful and delicious custom cakes and confections to the Washington, D.C. area. I use the best possible ingredients and make everything from scratch. I strive to create designs that are both clean and sumptuous, and I love collaborating with clients to bring their vision to life. 3// What brings you the most joy when you’re working on your business? I think we probably all have the same answer to this one - the best is when the client is happy! It's definitely pricing for me. As consumers, I think we're so used to cost savings based on mechanization, cheaper materials and cheap labor that even if someone wants to hire an artisan to create something by hand, they can still be shocked by the cost. It takes hours to create my cakes, and I'm fully compliant with rules for business licensing and commercial kitchen space, so that adds up quickly. I'll always be up against folks who are moonlighting or doing this from home (legally or illegally), but I'm hoping I can build a clientele who understand the model and are willing to work with me. Walk dogs, fall into bed, check emails? I also spend some time feeling guilty about the state of my apartment and not doing anything about it. Sometimes we watch Jeopardy. Wait, I mean, rosewater and meditation! Is that what goes here? Advice is free, and you get what you pay for.